Dorplein is a hamlet 5 kilometres south of Budel, 6 kilometres south-east of Hamont, and 13 kilometres south-west of Weert. The church stands in the Hoofdstraat, the main road through the village. Turn into Kerkplein next to the church, and the cemetery is behind the church. 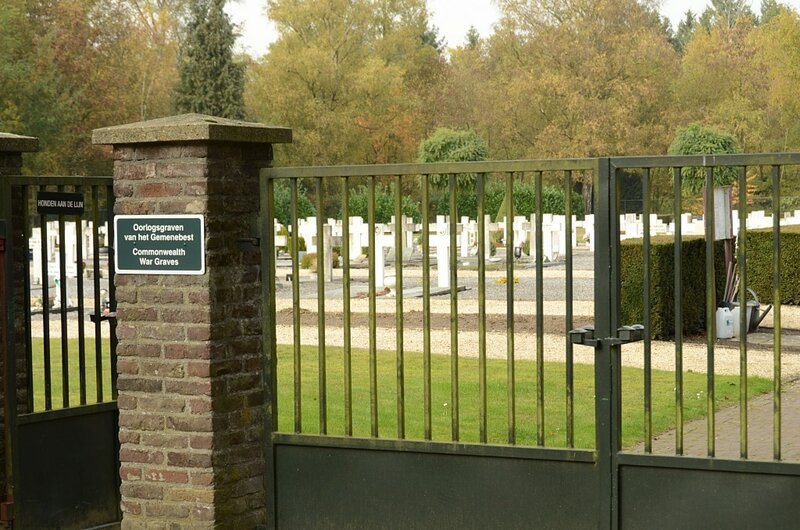 The Commonwealth war graves are located in the first row to the left, at the end, when entering the cemetery gates. 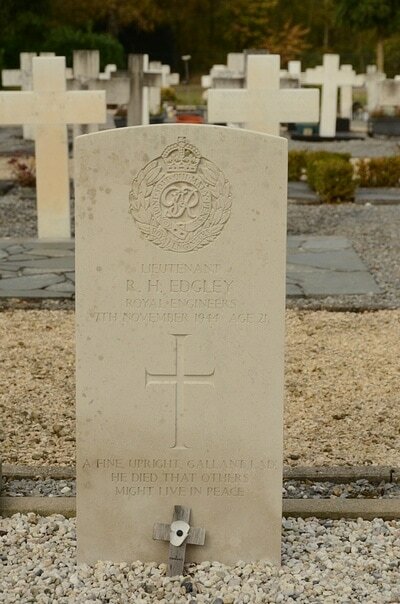 295541 Lieutenant Richard Herbert Edgley, 555 Field Company, Royal Engineers, died 7th November 1944, aged 21. Son of Walter Herbert and Annie Marguerite Edgley, of Snaresbrook, Essex. 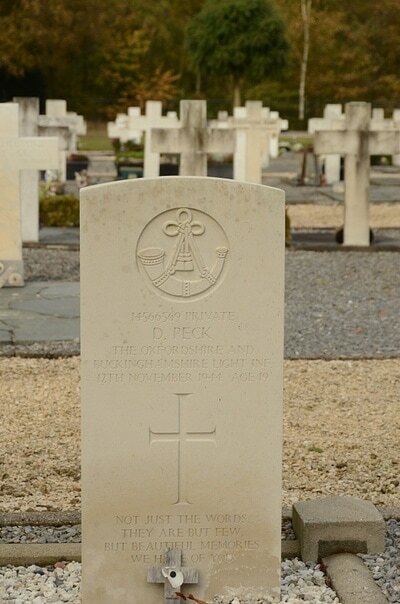 145566569 Private Dennis Peck, 1st Bn. 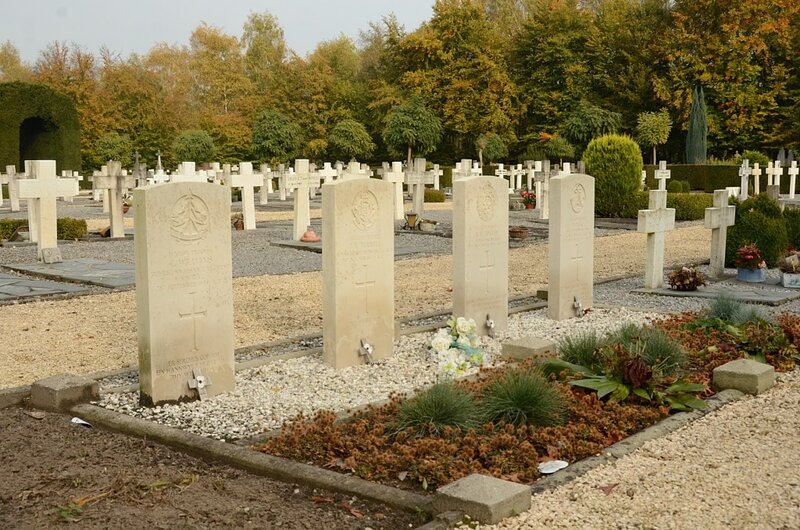 Oxford and Bucks Light Infantry, died 12th November 1944, aged 19. Son of Walter and Georgina Peck, of Lowestoft, Suffolk. 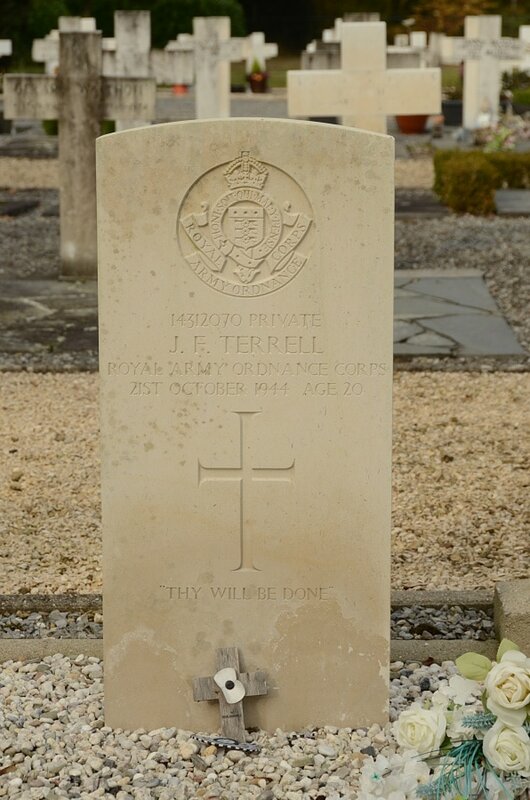 14312070 Private John Francis Terrell, Guards Armoured, Ordnance Sub Park, Royal Army Ordnance Corps, died 21st October 1944, aged 20. 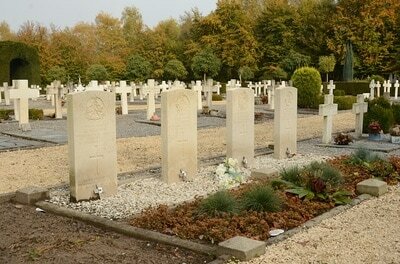 Son of Richard and Alice Terrell, of Newtown, Birtley, Co. Durham. 14201895 Private Caradoc Williams, 3rd Reconnaissance Corps, R.A.C. (8th Bn. The Royal Northumberland Fusiliers) Regiment, died 21st September 1944, aged 21. 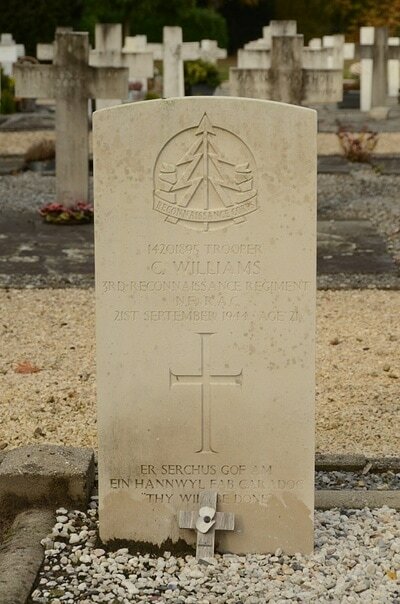 Son of James Peter and Mary Hannah Williams, of Vicars Cross, Cheshire; husband of Margaret Evelyn Williams.